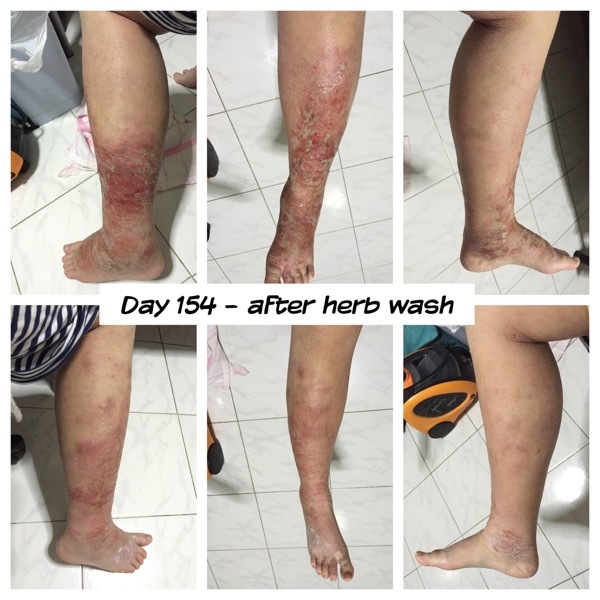 Today after soaking in ahava dss and 4 drops of tea tree oil, legs feel okay.. Then i boiled the herb wash from tcm. I feel its quite thick today. But stilllll… Its not very drying? What am i doing wrong -_-? Or is it that the raw patches will ooze no matter what?